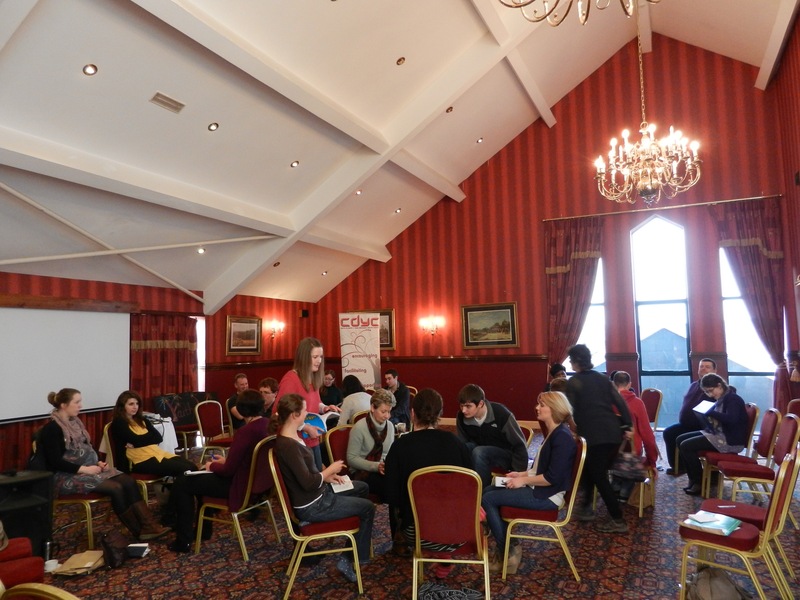 Over thirty youth leaders from the Diocese and beyond spent a great weekend in Clonakilty recently for the annual youth leaders training weekend. This event has become one of the high spots in the year, and it is appropriate that is does so in January in order for leaders to be remotivated for the year ahead. One of the sessions required us , working in small groups, to come up with a programme on sharing faith and the resulting ideas will be put together to provide a resource for use by leaders all over the Diocese. There were also sharing sessions where we heard what was happening in different groups and with the schools team. There was time to meet informally and to have fun. Saturday evening was a drama session led by Ross Jonas in which groups had to write and perform sketches on Faith , Hope and Love and the Greatest of these is Love. There was plenty of laughter. CDYC`s annual programme of events is now available on the website so please visit this to keep in touch with what is happening. This entry was posted in CDYC, Diocese, Lay Ministry, Youth Work. Bookmark the permalink.